The first Great Migration, African American moving from the South to North, is on 1910-1940 and the second one is on 1940-1970. The Great Migration is one of the biggest movement in the US history. There are many reasons cause The Great Migration to happen such as the segregation laws on African American are legal that creates the unfair education and treatments (Jim Crow), higher incomes in the North and taking advantage of industry job opportunities for people to working with due to the happening of World War I. 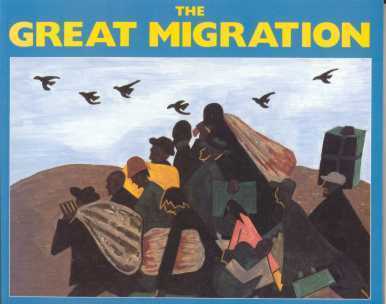 The Great Migration also leads to the major increasing for the African American population in the North and the poor living standard that they have to deal with and challenging the social and political issues.